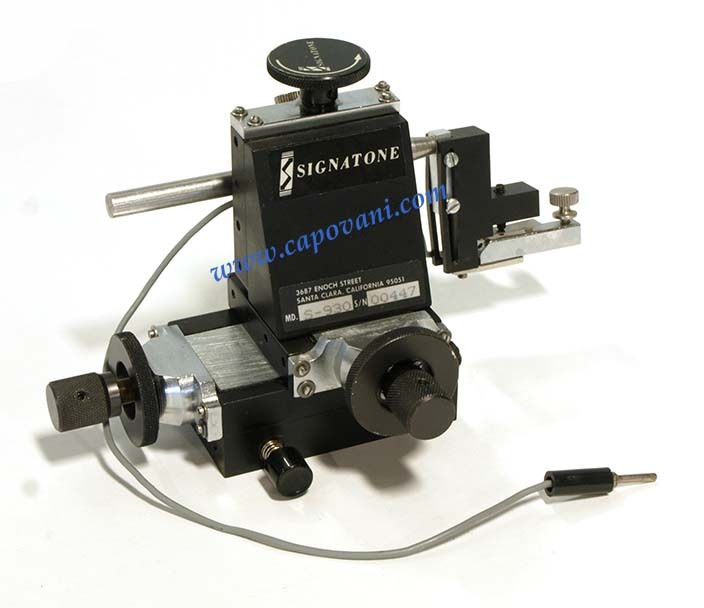 In addition to this Signatone S-930, Capovani Brothers Inc. stocks a wide range of used micromanipulators and micropositioners. 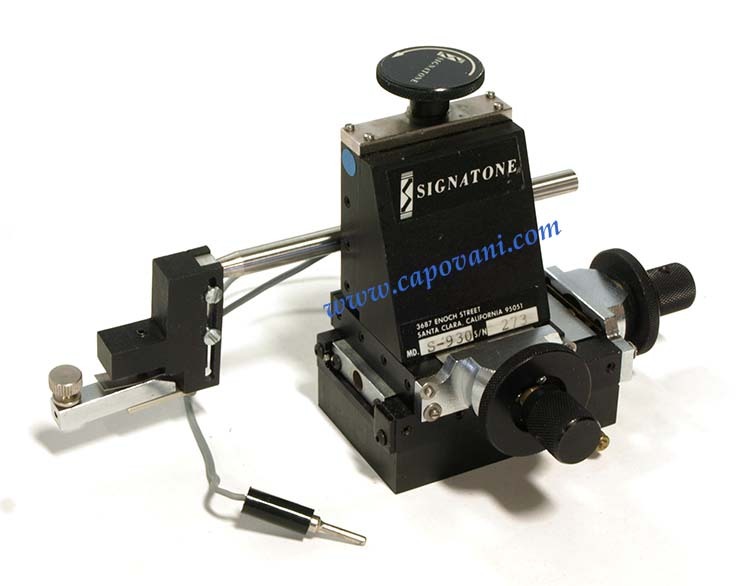 Typical manufacturers include Alessi, Cascade Microtech, Karl Suss, Micromanipulator, Rucker & Kolls, Signatone, and Xandex. To view our complete stock of used micromanipulators and micropositioners, visit our Micropositioners Category.